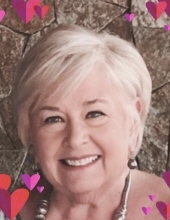 Cheryl L. Smitter, age 71, a resident of Naperville, IL, for 45 years, passed away on February 9, 2019 at Edward Hospital, Naperville, IL. She was born August 14, 1947 in Evanston, IL to the late Robert and Shirley Pfiester. Beloved wife of Roger Smitter, who she married on August 5, 2000; loving mother of Robert A. (Jenelle) Lockhart of Redondo Beach, CA; caring step-mother to Amy (Chris) Lemmon and Jennifer (Michael) Taylor; adored grandmother of Alexis (Jordan), Travis, Katie, Felicia, Paige and Sydnee; dear sister of Corinne (Larry) Richman; fond aunt of Christine, Don, Brad and Ashley; wonderful cousin and a dear friend of many, including past students. Cheryl grew up in Glenview, IL and graduated from Bradley University in 1969 with a Bachelor of Arts Degree. She went on to receive her Master's Degree from Aurora University. She taught for over 30 years at Oak Park Elementary in Aurora, IL. She was a member of Sigma Kappa Sorority and a past member of Our Lady of Perpetual Help, Glenview, IL. She loved being with her family, had a strong affection for all children and enjoyed finding ways to expand learning beyond the classroom. For those who would like to leave a lasting tribute to Cheryl's life, memorials to Susan G. Komen Foundation, ww5.komen.org would be greatly appreciated. To send flowers or a remembrance gift to the family of Cheryl L. Smitter, please visit our Tribute Store. "Email Address" would like to share the life celebration of Cheryl L. Smitter. Click on the "link" to go to share a favorite memory or leave a condolence message for the family.